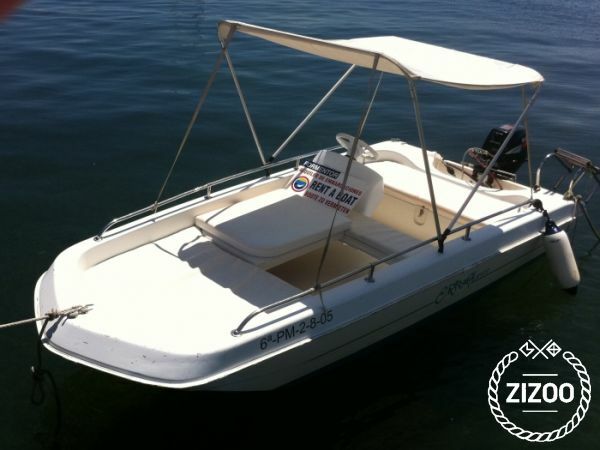 This small and agile boat is perfect for a day with your friends or family exploring and swimming in the Balearic crystal waters just off of the coast of Spain! To rent this boat you don't even need a driving licence and you can charter it from 10.00 to 18.00 and have a tour of beautiful Pollença Bay, Formentor beach and the island of Mallorca. The boat features an ice box for your picnic while, under the helm seat, there is the possibility of dry storage. We include in the price the security equipment for your safety. Please note: prices may change according to the different seasons.